In the early 1910s, explorers Roald Amundsen and Robert Falcon Scott engaged in a frantic, and ultimately tragic, race to be the first man to reach the South Pole. “Another hard grind in the afternoon and five miles added,” British explorer Robert Falcon Scott wrote in his diary. “Our chance still holds good if we can put the work in, but it’s a terribly trying time.” It was mid-January 1912, and the 43-year-old Royal Navy officer was nearly 800 miles into a journey to one of the last unexplored places on the globe: the geographic South Pole. Scott’s five-man party had already endured brushes with blizzards and frostbite during their trek. 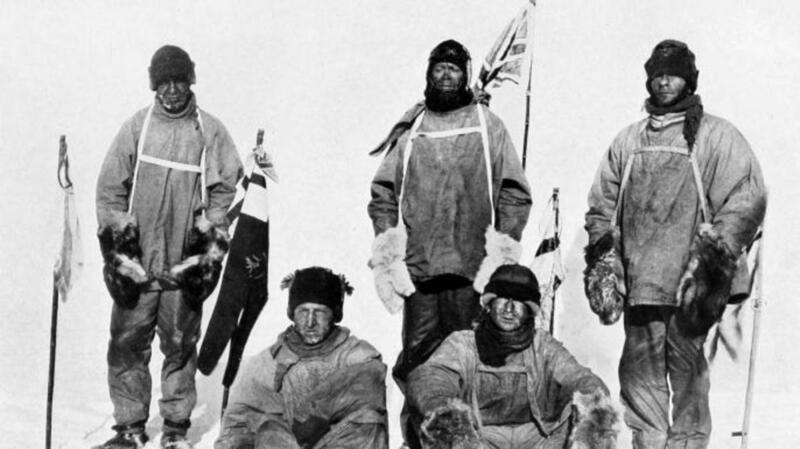 They were now less than 80 miles from the finish line, but a single question still loomed over their progress: would they be the first group of men in history to reach the South Pole, or the second? After spending the early part of 1911 laying down advance caches of food and supplies for their polar journeys, Amundsen and Scott’s expeditions took shelter and spent several months waiting out the dark and frigid Antarctic winter. Amundsen later tried to get a head start by beginning his journey early in September 1911, but was forced to turn back after temperatures dipped as low as 68 degrees below zero. Finally, on October 20, 1911, conditions improved enough for his five-man team to begin their dash to the Pole. Scott got underway just a few days later on November 1. Amundsen and Scott relied on vastly different forms of transport during their journeys. Scott employed a combination of sled dogs, Manchurian ponies and even a few motorized tractors. The machines quickly broke down, however, and his ponies grew weak in the cold and had to be shot. 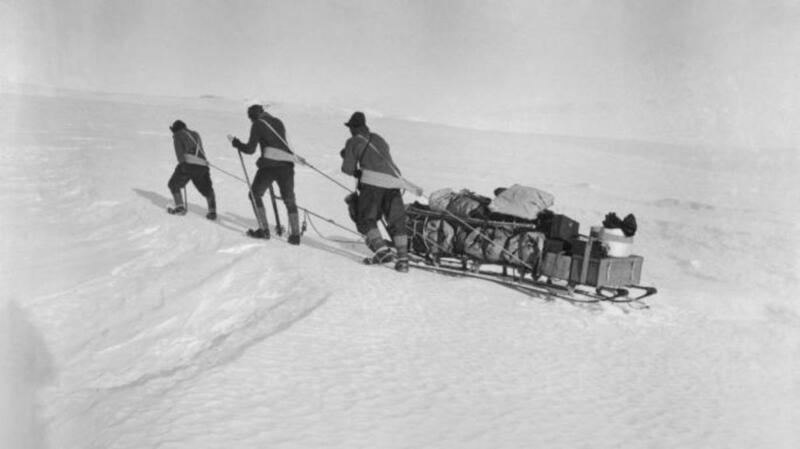 After sending the dogs back to camp, he and his team were forced to spend much of their journey man-hauling their heavy supply sledges on foot. 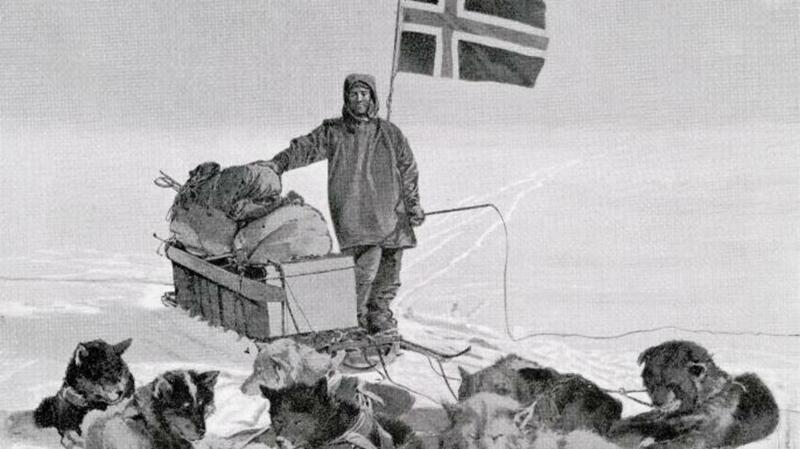 Amundsen, meanwhile, relied solely on skis and sled dogs to cross the tundra. 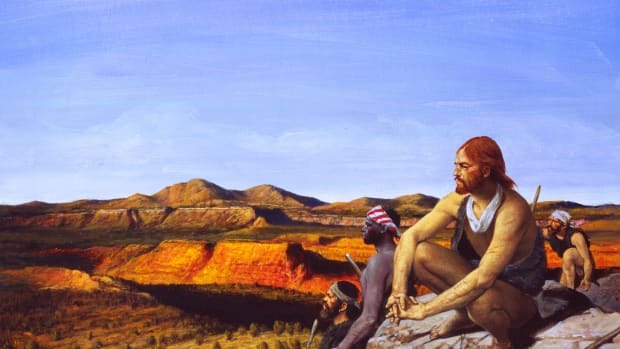 The dogs helped his men save their strength, and the explorers later killed the weakest of the animals to supplement their food supply. Scott had been beaten to the Pole, but his troubles were only beginning. 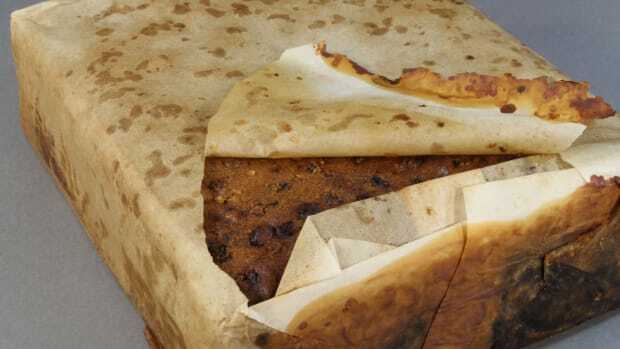 The British team had reached their destination late in the Antarctic summer, and temperatures were dropping rapidly. They began the slow slog north, but exhaustion, frostbite and malnourishment had soon spread through their ranks. On February 17—more than 20 days after Amundsen’s group had returned to their base camp—a man named Edgar Evans became the first of the British party to die. The severely frostbitten Lawrence Oates followed a month later after sacrificing himself in a blizzard to avoid slowing down the team. “I am just going outside and may be some time,” he said before leaving the group’s tent and vanishing. 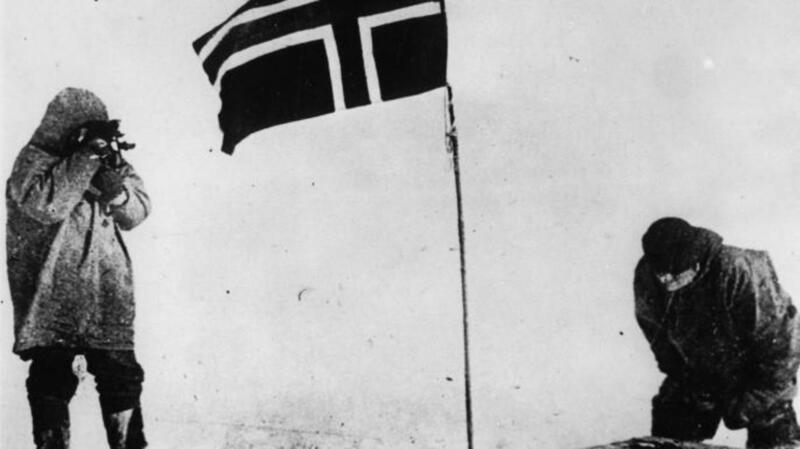 By the time the bodies of Scott, Wilson and Bowers were found later that November, Roald Amundsen had already returned home in triumph and embarked on a lecture tour. 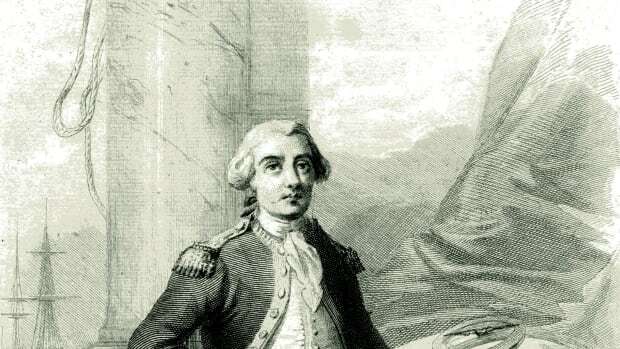 Despite having won the race without losing a single man, he was in many ways overshadowed by Scott, whose doomed march had made him a hero in his native Britain. Undeterred, Amundsen continued his wandering and eventually explored the Arctic both at sea and in a dirigible, which he used to reach the North Pole in 1926. Two years later, he died in a plane crash while searching for a missing explorer over Norway’s Svalbard archipelago. Explorers continued to venture to Antarctica in the years after Amundsen and Scott’s legendary race, but it was not until 1956 that an expedition once again stood on the South Pole. 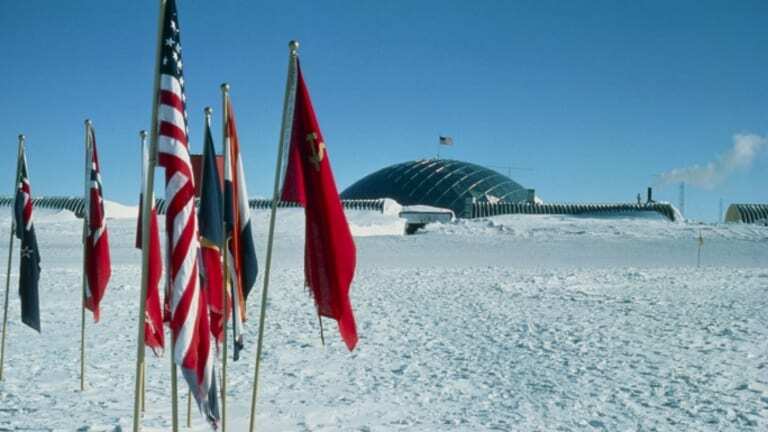 The world’s southernmost point has been continuously inhabited ever since, and its two earliest pioneers are now honored in the name of its permanent research facility: the Amundsen-Scott South Pole Station.